This design is very easy and very simple. 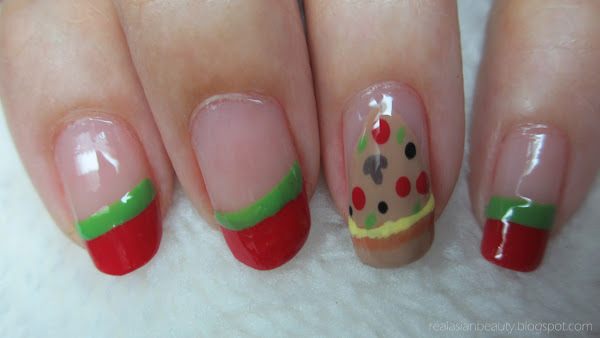 You can also paint a pizza slice on all five nails. Don't forget to visit my YouTube channel for more videos. Please follow this blog for more tips and stories.